Cinderella Castle is the crown jewel of the Magic Kingdom! What makes the Magic Kingdom a great Disney Park? What puts the Magic Kingdom and the other Disney Parks on a level that is, in this writers’ opinion, night and day better than any other Disney Park? In short, what is the anatomy of a great Disney park? Let’s explore these details in more depth and see if we can come to a conclusion. 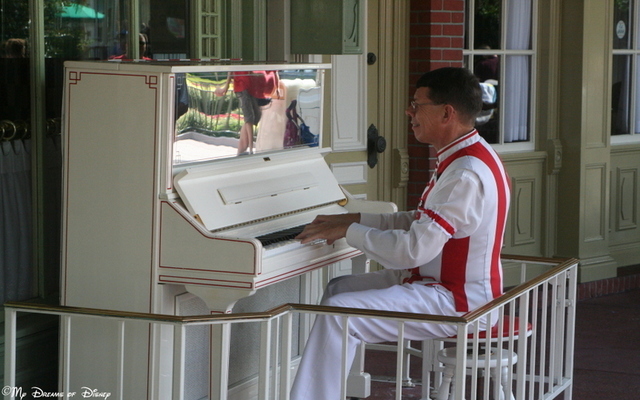 The Piano Player outside of Casey’s provides a great example of Disney Music! There are few things that channel a person’s thoughts about a particular section of a park more than music. When you enter Main Street, U.S.A., the music is enticing, drawing you in, welcoming you to the Magic Kingdom. When I enter the park, instantly I find smiles on my face, Cindy’s face, and a look of wonder on Sophie’s, and I know that our day is going to be a great one. 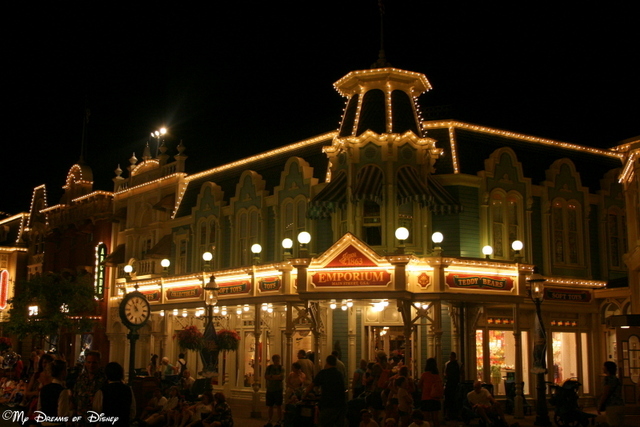 Main Street, U.S.A. at night is one of the most beautiful parts of Walt Disney World! On Main Street, U.S.A., you’ll find the old time shops, the old time theater, the street vendor selling freshly popped corn, and so much more. It is this theming that makes up one aspect of the anatomy of a great Disney park, because the theming changes as you go from land to land, from park to park, and it is it’s own special thing. 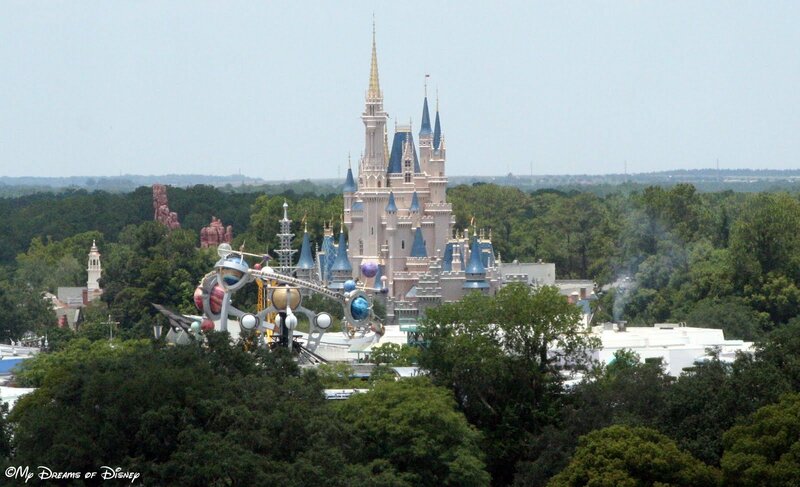 Going to the Magic Kingdom, because of the different lands, is like going to six different parks, all rolled into one! 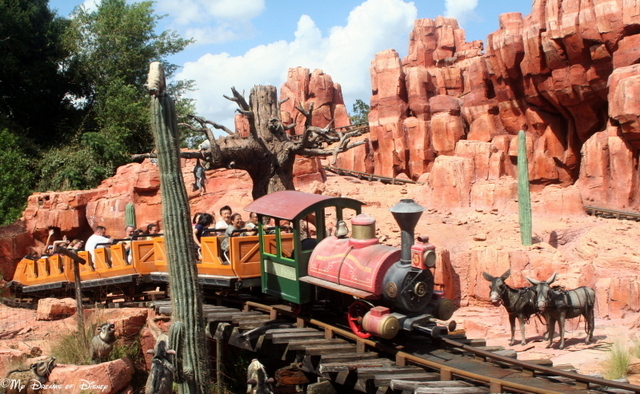 Big Thunder Mountain Railroad is a great roller coaster ride! Another part of the anatomy of a Great Disney Park is the attractions. When you go to the Magic Kingdom, for example, most people go there primarily for the attractions — although, that isn’t the case with everyone. Still, if you have a great themed park, with incredible music, but lousy attractions — well, you’re just not going to be able to sustain your operation for very long. 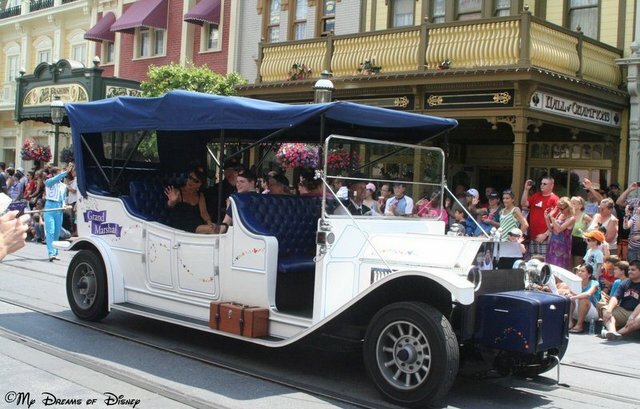 The Grand Marshall Car starts the parade on Main Street, U.S.A.! When it comes to Disney, I think they do better parades than anywhere I can think of. Imagine being designated the Grand Marshall for one of the parades, and getting to sit in this car and wave at everyone. How cool would that be?! 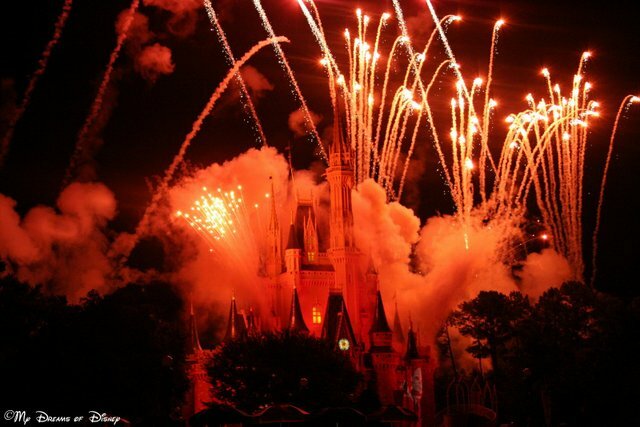 Special Fireworks over Cinderella Castle! Fireworks. Some people like them, some people don’t. For years, I didn’t view them because the loud noises of the explosions really bothered my ears. The same was true with Sophie. Then one year, we saw ear plugs at a local store, bought two pairs, and we’ve been watching fireworks ever since. It was the best $4 investment we ever made! If you have sensitive ears and forget to get ear plugs, don’t worry — you can go to Guest Services and get free disposable ear plugs for you and your kids and enjoy the fireworks yourself! 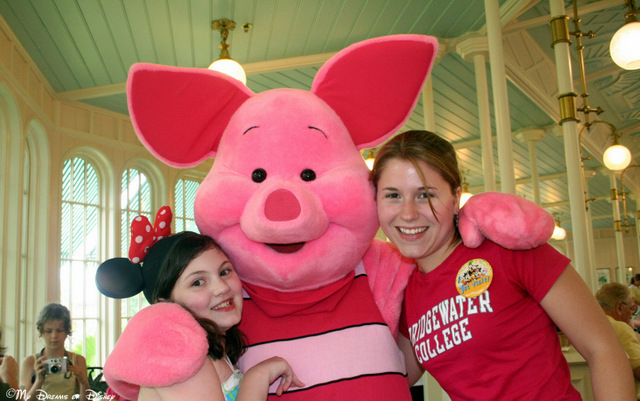 Piglet poses with Sophie and Stephanie at the Crystal Palace! At a park like the Magic Kingdom, you will do a lot of walking — in some cases, perhaps as much as 10 miles per day! So, with all that exercise, it’s important that a great park have a lot of dining options! Fortunately, Walt Disney World has some incredible ones, like the Crystal Palace (shown above) and others! Image Courtesy and ©WDW Shutterbug. The Magic Kingdom hosts it’s own Special Events! 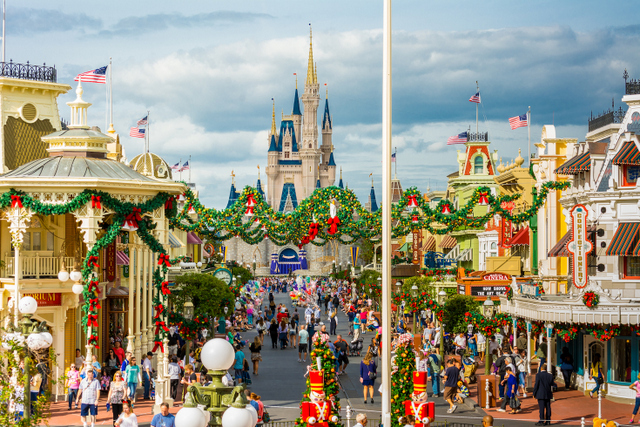 At the Magic Kingdom, you have Mickey’s Very Merry Christmas Party and Mickey’s Not-So-Scary Halloween Party to enjoy at the right time of the season. In addition, you’ve got the special holiday events at Epcot and Disney’s Hollywood Studios too, and at Epcot, you’ve also got the Epcot International Flower & Garden Festival and the Epcot International Food & Wine Festival, so the special events are definitely worth seeing! 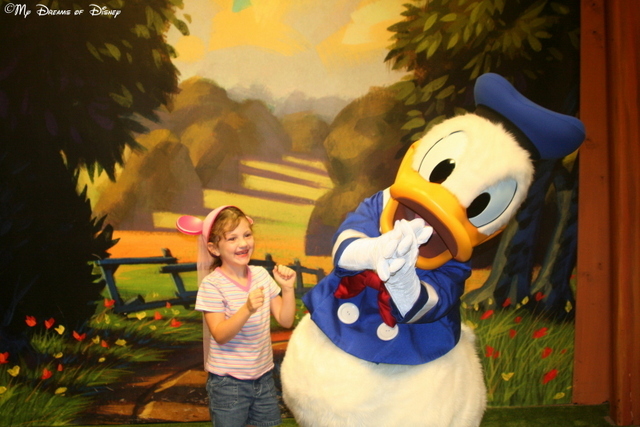 This memory from Sophie and Donald Duck dancing back in 2007 is one of my favorite memories! One of the most important aspects in the Anatomy of a Great Disney Park is the likelihood that you will make great memories at the park. I’ll be really honest here — the memories of our trips to Walt Disney World and Disneyland are probably the number one thing that I take away each year. 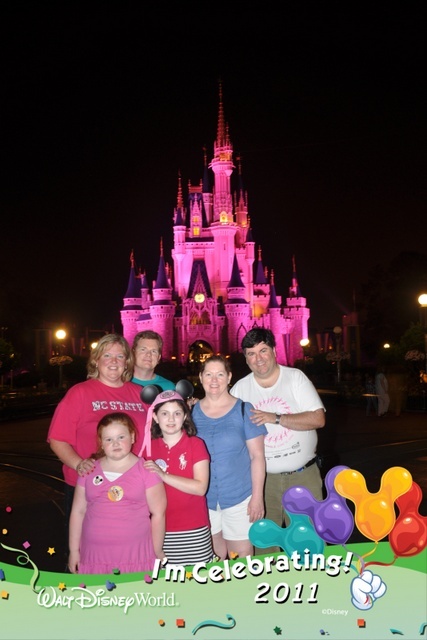 The memories are why I started this blog; the memories are why we keep going back year after year; the memories are what led us to buy our Disney Vacation Club, and the memories are what made us decide to bring our family and friends along with us. Sophie on the Mad Tea Party showing her wonderful smile and laughter! 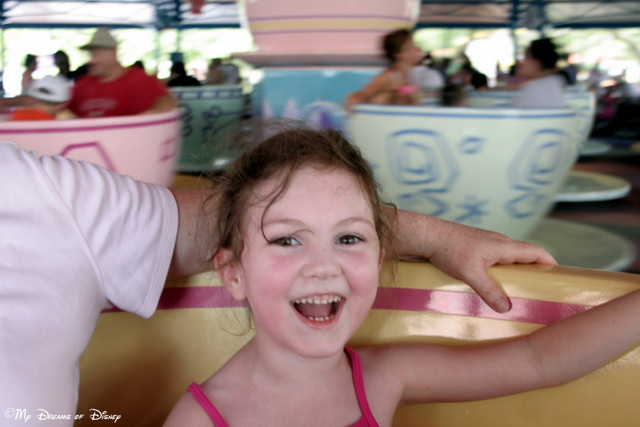 Laughter really is the best medicine, and for a great Disney park, you’ll find plenty of laughter to go around! It seems like our trips are one constant laugh after another, and often we get the kind of laughter that just keeps going on and on! Just take a look at the photo and you’ll see what I mean! The people you spend your time with is the missing link in our Anatomy of a Disney Park! Sharing the parks with those that we love — that is another great part of the Anatomy of a Great Disney Park! These pictures sum it all up — our trips with Kerry and Neal and Monica, with Steph and Shane and Kyle, with Otis and Nancy and Sherry — all of these great trips that we’ve had. 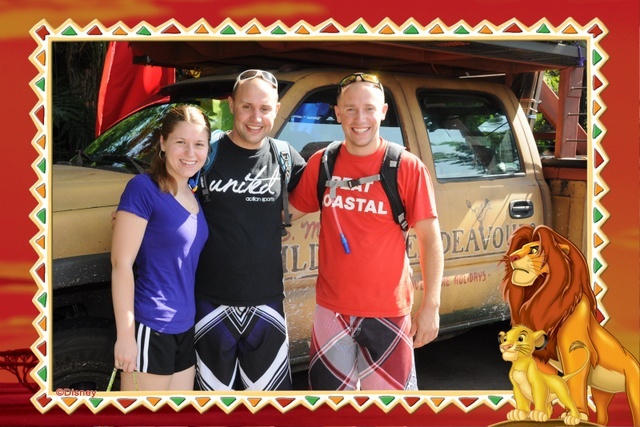 Steph and Shane and Kyle enjoy Animal Kingdom! 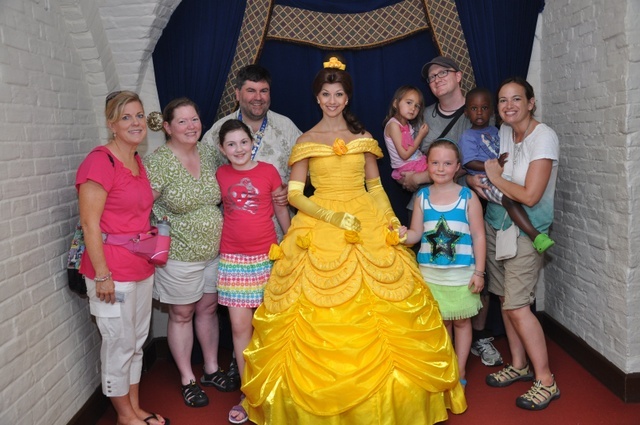 Otis, Nancy, Anna Jane, Sophie, Cindy and I pose in front of Cinderella Castle! Thank you for taking time to read my post about the Anatomy of a Great Disney Park. My family truly enjoys taking our trips to Walt Disney World and Disneyland, and we wouldn’t have it any other way! I hope that you have gained some insight with me on the anatomy of a great Disney park, and why I think Disney parks are the best in the world. Is there anything I left off of my list? If so, please let me know in the comments, and thanks! Go out and make it a Disney Day, everyone!